Taxon: Rhodobryum roseum (Hedw.) Limpr. 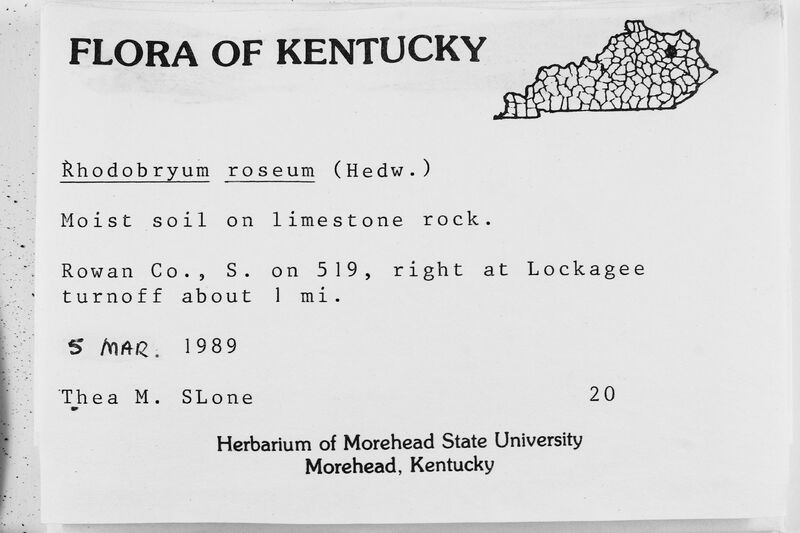 Locality: United States, Kentucky, Rowan, S. on 519, right at Lockagee turnoff about 1 mi. Habitat: Moist soil on limestone rock.